Plastic Surgeons Say Demand Is Surging For Chin Enhancements : Shots - Health News A big group of plastic surgeons say that chin enhancement was the fastest growing surgical procedure they performed for cosmetic purposes in the U.S. last year. More than 20,000 chin operations were performed in 2011, a 71 percent increase compared with 2010. A big group of plastic surgeons say that chin enhancement was the fastest growing surgical procedure they performed for cosmetic purposes in the U.S. last year — up 71 percent to 20,680 operations. Now, it's still a small number, overall, compared with breast augmentation, the No. 1 procedure at 307,180. But those surgeries rose only 4 percent in 2011 compared with 2010. Chin work was most popular out west, which is true for most cosmetic procedures. The Northeast came in second. The figures come from the American Society of Plastic Surgeons. An earlier cut on the data for 2011 found that business for plastic surgeons could use a lift. Surgical procedures, which can be pretty lucrative, increased by only 2 percent in 2011. Nose jobs and eyelid surgery both declined. And liposuction was up just 1 percent. Yes, the plastic surgeons are doing more of the simpler stuff, such as Botox injections — more than 5.67 million of those last year. But even the less invasive and less expensive work increased only 6 percent in 2011. Oh, and what do the doctors call chin work? Mentoplasty. I found that out while trolling though some medical papers to bone up on the subject. One paper from more than a decade ago described a range of implants — from polyester mesh to solid pieces of polytetrafluoroethylene. That's the stuff sold for lots of uses under the brand-name Teflon. 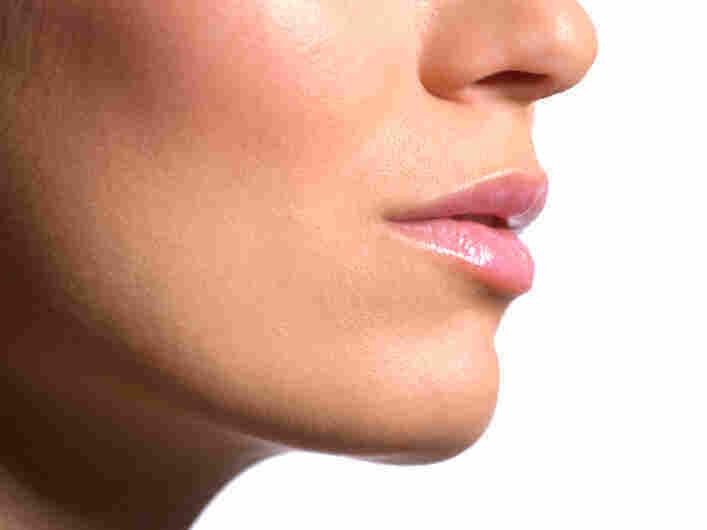 There are other ways to get a more prominent chin, including surgery to slide a person's chin forward a little bit. What'll a chin job cost? The plastic surgery group says the average fee charged by doctors for the work was $1,851 last year.